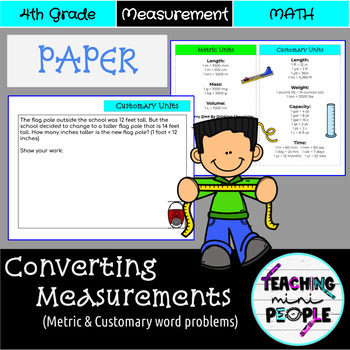 This resource was created for 4th grade students to practice with converting measurements - both metric and customary. The first content slide is conversion tables, one slide with quick conversion practice, and then the ones following are all practice problems. Great for use in Mini Lessons for active engagement.